Everything was fine, full kitchen equipment, clean and very cosy cottage. Very close to falls and Saana. On the other side of road is a lake, by which we saw aurora. Breathtaking views around. We were there in New Years Eve, so we saw fireworks 2 times, at 12am local Time and 1am, because of close border and time changing. The kitchen is equipped with everything you need. 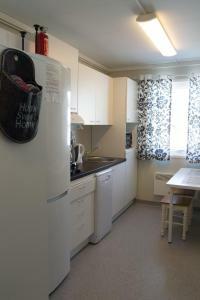 (Kitchen is shared by 8 persons / 4 parties, as there are 4 rooms with 2 beds each). Bus stop (which runs once per day) is very close. 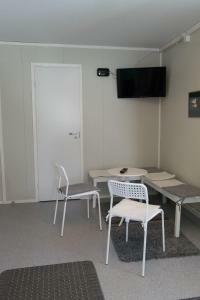 Well located, nice and clean room with kitchen and toilet/shower. Although we arrived late, the receptionist came and gave us the key on time. We arrived late at night, but the staff answered the phone and got out of bed to give us the key. 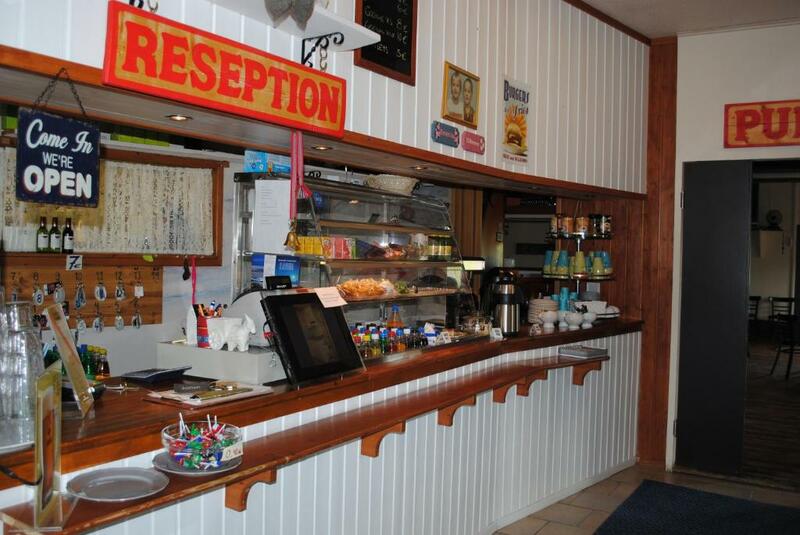 Excellent service and high standard on the accomodation. Location was good, easy to Norway and Sweden and a grocery store just around the corner. Hut was a little cold and you could smell mold growing in the bathroom, amenities were good (full fridge/freezer, induction hob, water cooker, coffee maker, microwave). Teenytiny rooms, surprisingly good noice cancellation anyhow. Place was clean and comfortable. 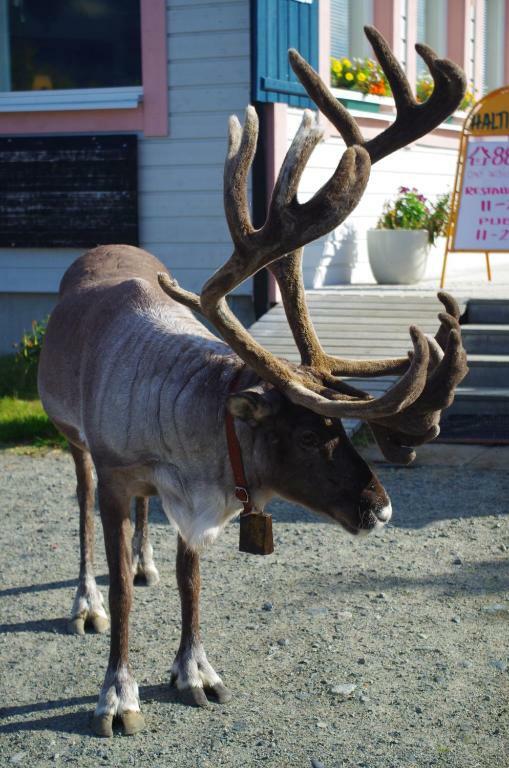 I loved seeing the reindeer wandering around. Good stay. Lovely nature, reindeers everywhere. The cottage was well equipped, clean and the private sauna was good. There's a supermarket close to the property. Nice hiking in the surroundings. Located 1,000 feet from Lake Kilpisjärvi, Haltinmaa Cottages is within 6.2 mi of the Swedish and Norwegian borders. 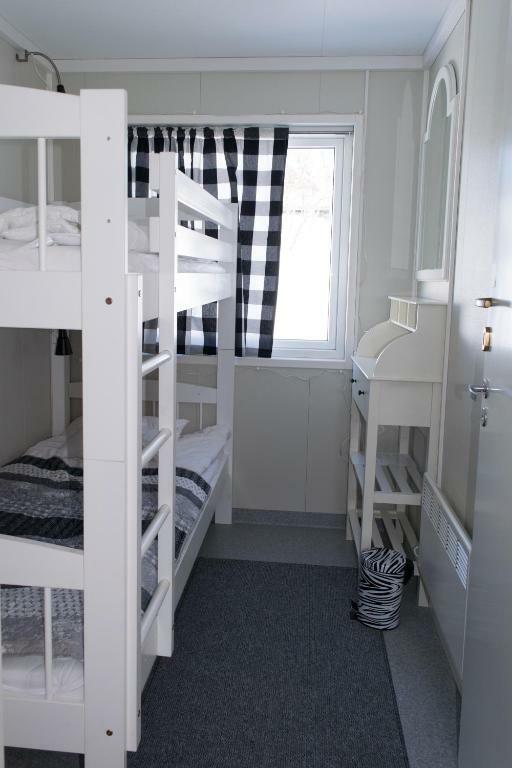 It provides free Wi-Fi, a restaurant and accommodations options with a microwave, TV and sauna. 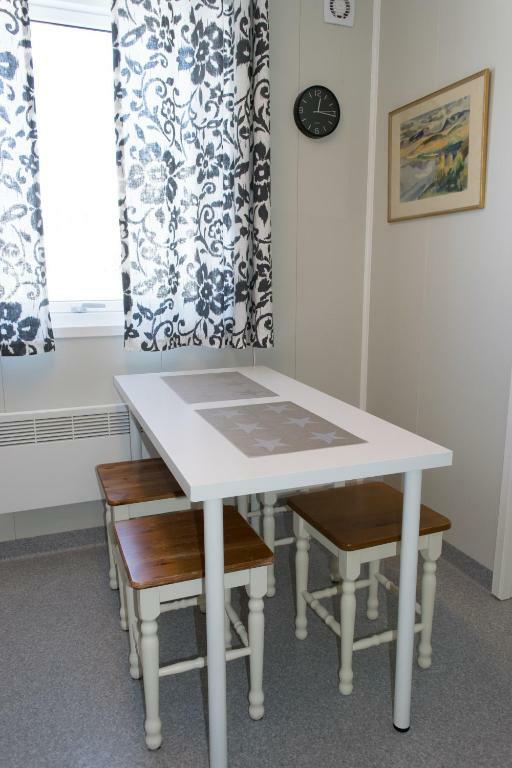 Haltinmaa’s semi-detached cottages have kitchen facilities and a seating area with wood-burning stove. 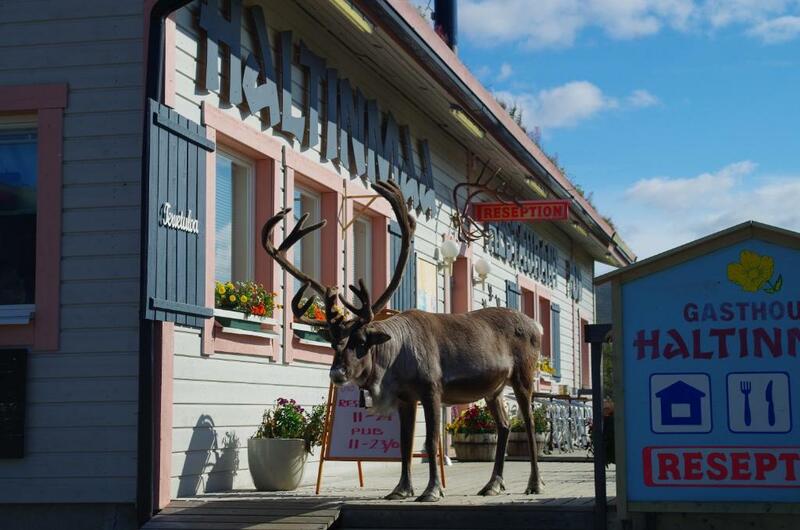 Reindeer, salmon and other Lapland specialites are served at Halti Pub Restaurant. After dinner, guests can relax with a drink by the fireplace. 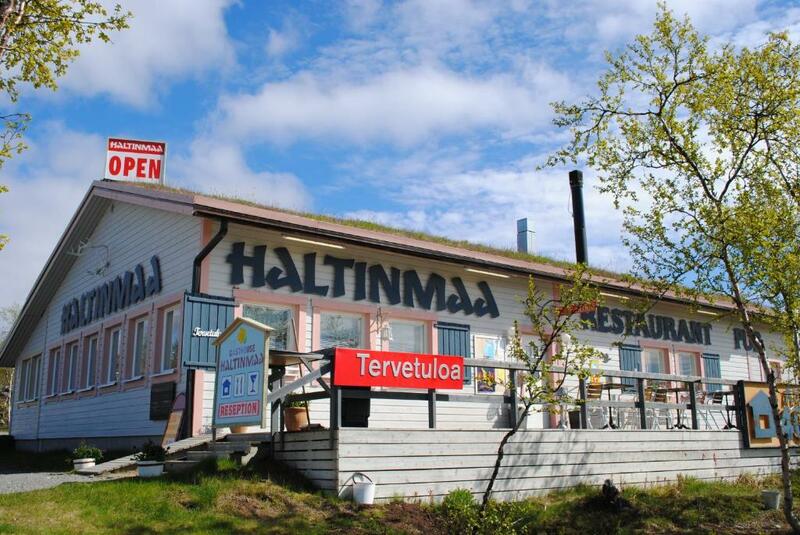 All year round, guests can grill in Haltinmaa’s BBQ hut, which is available for free. Other facilities include a garden, terrace and playground. Bikes can be borrowed for free on site. Guests can fish and swim in Lake Kilpisjärvi, and hiking/cross-country ski trails run right by the guest house. A supermarket is just 650 feet from the property. 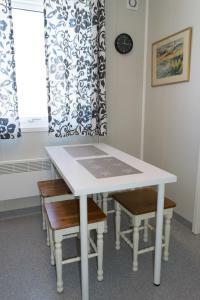 When would you like to stay at Haltinmaa Cottages? 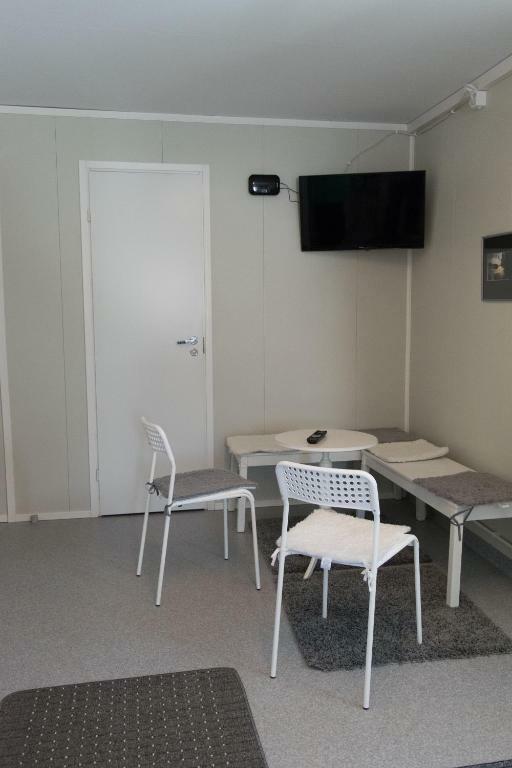 This compact twin room has access to shared bathrooms. Sijaitsemme keskellä pikku kyläämme. 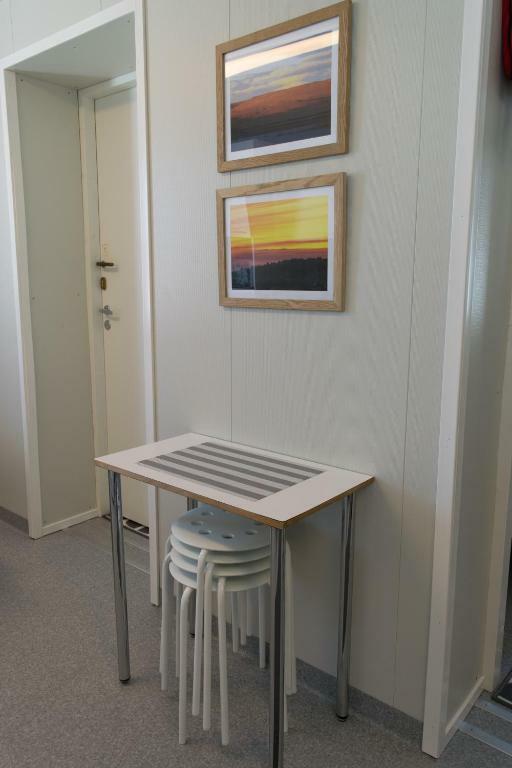 Haltinmaasta on helppo tehdä päiväretkiä lähialueille, upeisiin tuntureihin tai jylhään Norjaan. Majoitustiloja on erikokoisia ja tasoisia, mutta kaikissa löytyy saunatilat ja suurimmassa osassa on takka. Olen Satusisko ja työskennellyt monissa ravintoloissa suomen Lapissa. Kilpisjärvi vei kuitenkin sydämmeni ja halusin aina muuttaa tänne pitämään pientä kahvilaa. Unelmani toteutui ja täällä olen tyytyväisenä palvellut asiakkaitani jo yli 10 vuotta. House Rules Haltinmaa Cottages takes special requests – add in the next step! Debit card Haltinmaa Cottages accepts these cards and reserves the right to temporarily hold an amount prior to arrival. 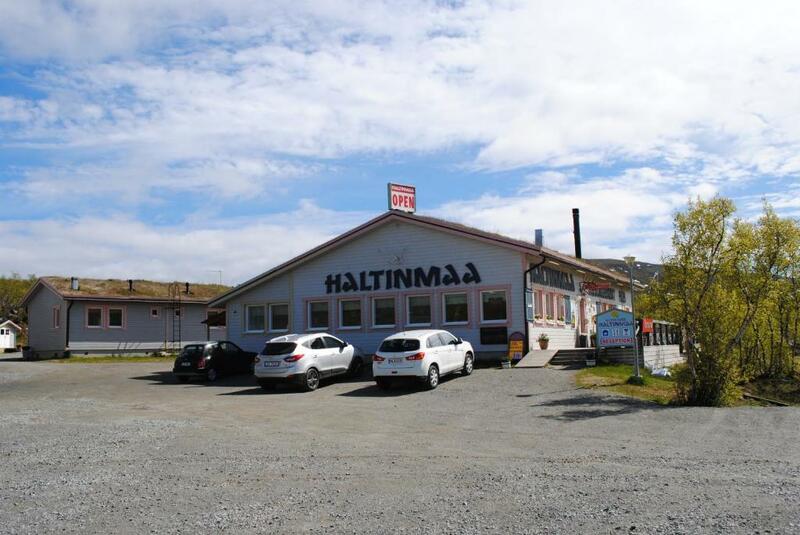 Haltinmaa Cottages accepts these cards and reserves the right to temporarily hold an amount prior to arrival. Please note that breakfast is served as a breakfast box. 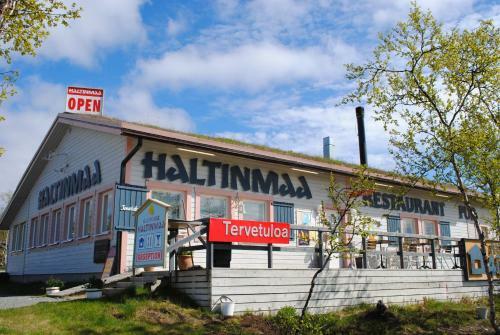 Please inform Haltinmaa Cottages of your expected arrival time in advance. You can use the Special Requests box when booking, or contact the property directly using the contact details in your confirmation. 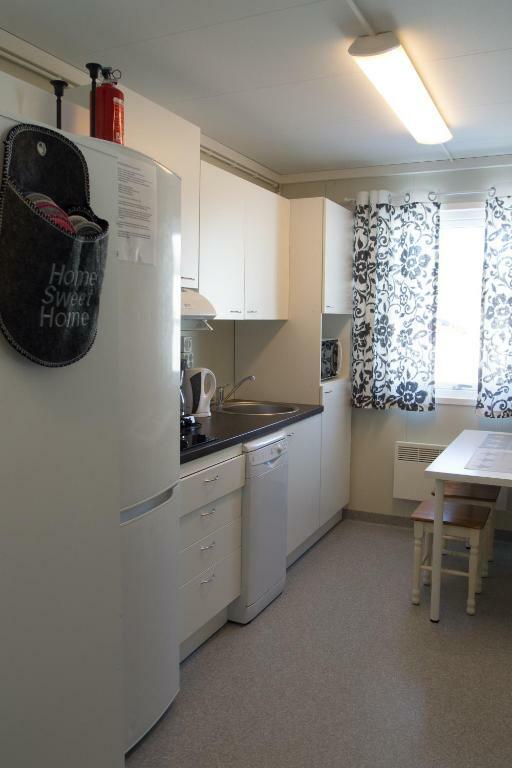 In the description it says that there is Wifi, but there is only connection in the reception-house, but not in the cottages. Furthermore it was written, that there are bicycles for free use. So I did my programme-planning taking that in consideration. But arrived, they told me that the bikes were already brought in shelter. They did not help me to find another solution how to get from A to B. You also have to clean your room by your own. In my perception they were not customer-friendly and they grudgingly replied to my questions. We stayed in what was described as ‘twin room with shared bathroom’ this was actually a very cramped portable cabin with 4 tiny rooms that barely fitted the bunk beds in them. These 4 rooms then shared a bathroom and kitchen. The walls in this cabin were paper thin so almost no privacy from other guests. If you didn’t have bedding and towels with you it cost another €10. Overall not worth the cost for what your getting. You can definitely get more for your money elsewhere in the area. The walls are paper thin. I could not sleep all night, because the person two rooms away was snoring! You can hear every word that someone is saying next door and every toilet noise from the bathroom! Four rooms share one tiny bathroom which is flooded if someone takes a shower. You have to pay extra for towels and bedclothes and do the final cleaning yourself. Breakfast is not included. The room is so small that you can hardly open the door. Staff is not in the least interested in their guests and totally unhelpful. Wifi does not reach the rooms and was not even working in the restaurant when I was there. When I complained about it, the woman just said she couldn't do anything about it and walked away. 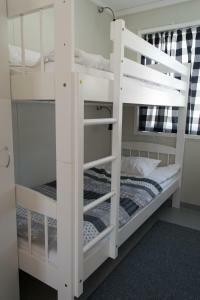 Youth hostel standard is better in Scandinavia than that! And camping is quieter than staying in any of these "rooms". We paid for sauna but we had to warm it up ourselves. This took three hours and cost 20 euros. No one cleaned the common area, kitchen and the bathroom during our stay. We were not many people staying at the same time so for us this wasn’t a problem but during high season I believe it won’t be as nice. No internet password in the cottage. When I asked about internet password, no one reply my message. 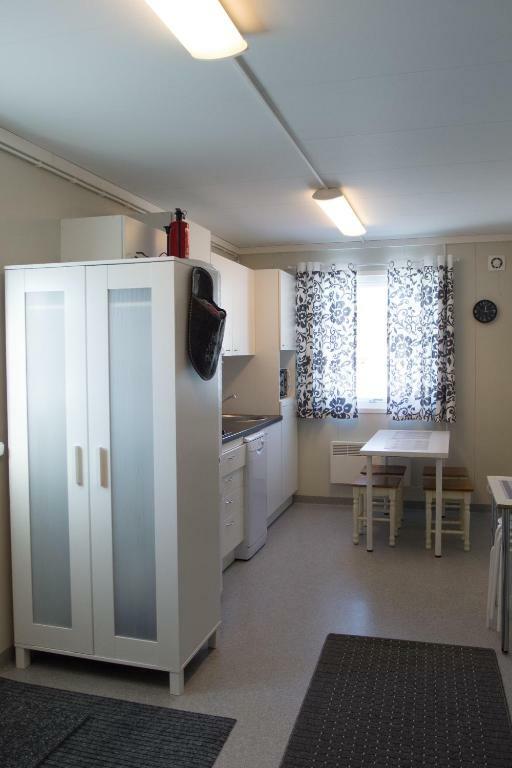 Cozy apartments, the sauna is a great perk! Walking distance from Salmivaara hill and to the main tourist companies, but necessary to take a taxi to hike to Mount Saana. Normal check out time is until 12 but it was easily agreed that I could leave between 13 and 14. The host wasn't available when we arrived, so we had to wait for 1.5 hours. And we were asked to pay for bed linen. But another host was very sweet and she shifted us to a better and bigger cottage. The hostess in the reception seemed moody especially in the evenings. We stayed for new years and had a lovely dinner in their restaurant! Linen,towels and final cleaning were not included in the final price. No wifi in the cottage. Never choose this cottage. The money i paid at hotel is more than what i have booked through Booking.com shown price. I have paid almost 25€ more than what i have booked in booking.com. When i tried to explain it to the hotel lady, she avoided listening and asked me to pay extra 25€ Since i dont have option and i paid it.Also, they charged 40€ for service cleaning which is little bit costly, even though the room is completely clean.